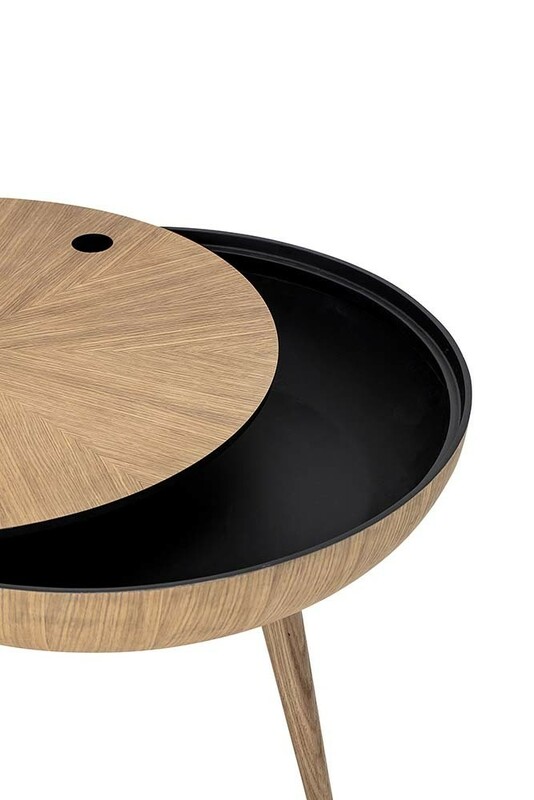 A statement piece of furniture that will keep you ahead of the curve, the Oak Coffee Table with Removeable Lid is a fabulous feature for your living room. Made from pale oak with a visible black trim, the top of the Curve Coffee Table can be removed to reveal considerable storage space inside. 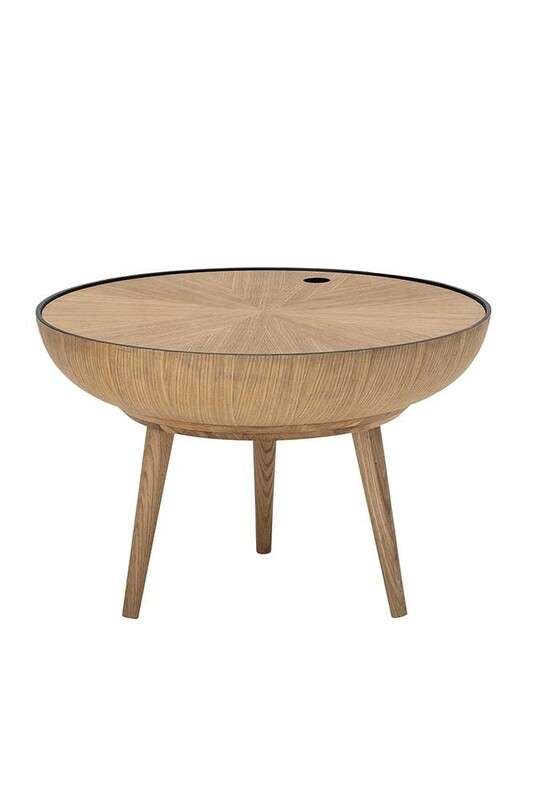 Measuring height 40cm x diameter 60cm, the Oak Curve Coffee Table is the perfect example of form and function, combining chic contemporary styling with handy hidden storage. A staple for any living room, coffee tables are an amazing focal point and our Curved Oak Coffee Table is no exception with its incredible curved silhouette and pale, modern oak finish. 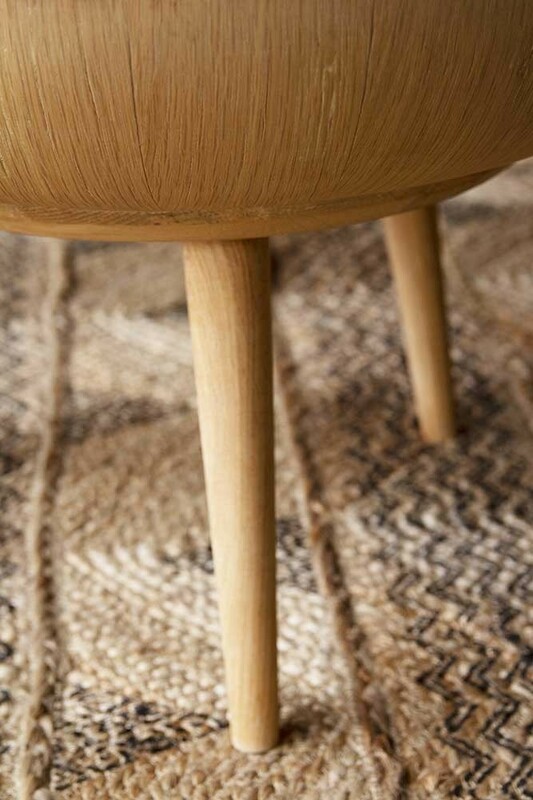 Perfect for minimal or more eclectic schemes, the Oak Coffee Table brings a splash of refined rustic style to any room, with the natural beauty and texture of wood celebrated throughout the beautiful design. Effortlessly elegant with a sensible side, the Curved Oak Coffee Table doubles up on storage and provides a place not only for books and magazines on the top of the table, but also space within to keep more practical living room essentials hidden away from view. 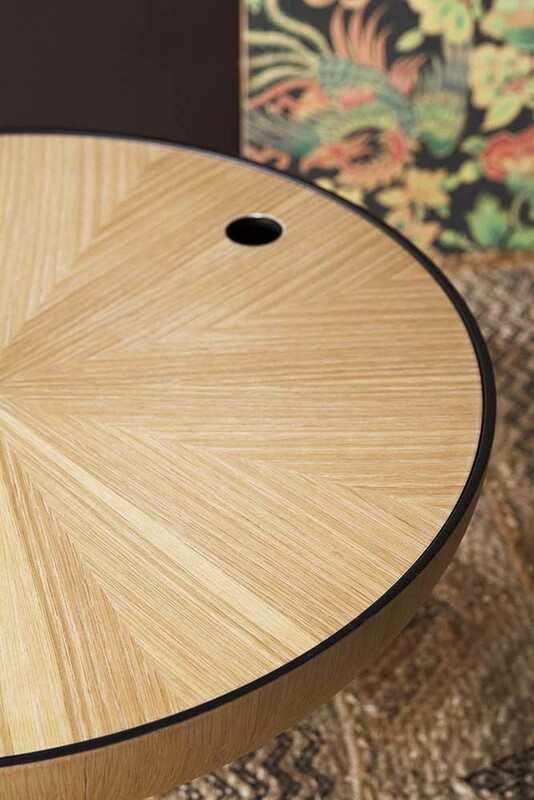 Ideal for creating impact in your living room, the Oak Coffee Table With Lid covers all your storage needs and has some many amazing opportunities when it comes to styling. 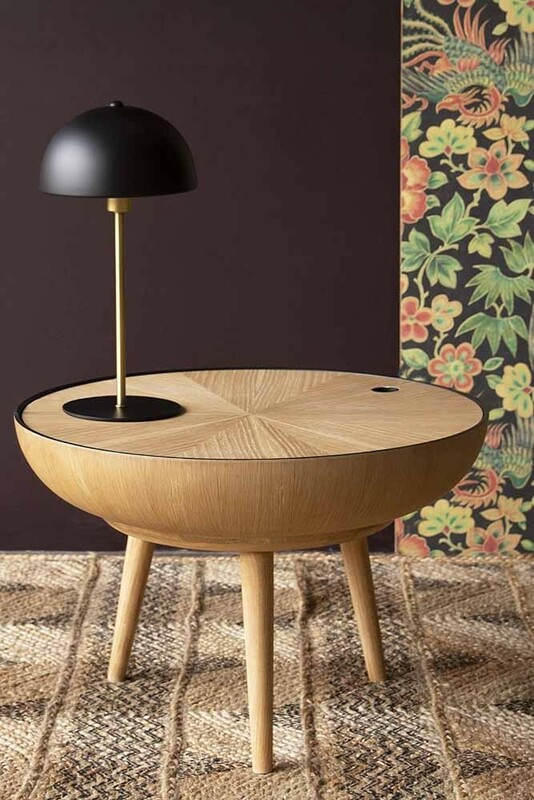 Designed to be centre stage, the Oak Coffee Table has plenty of space for creating a personal display, with scented candles, books and flowers all looking fabulous against the textured top. 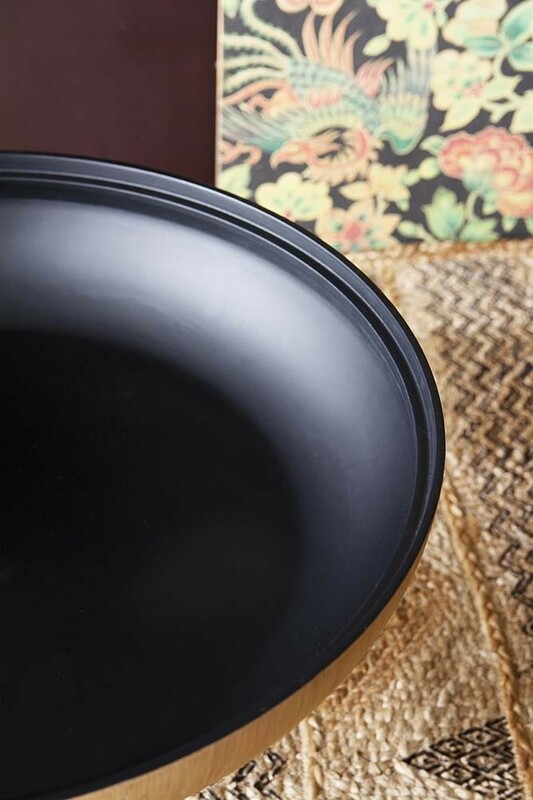 Finished in black on the inside for fire-pit style inside, the coffee table can also be styled without the lid for more of an industrial edge.